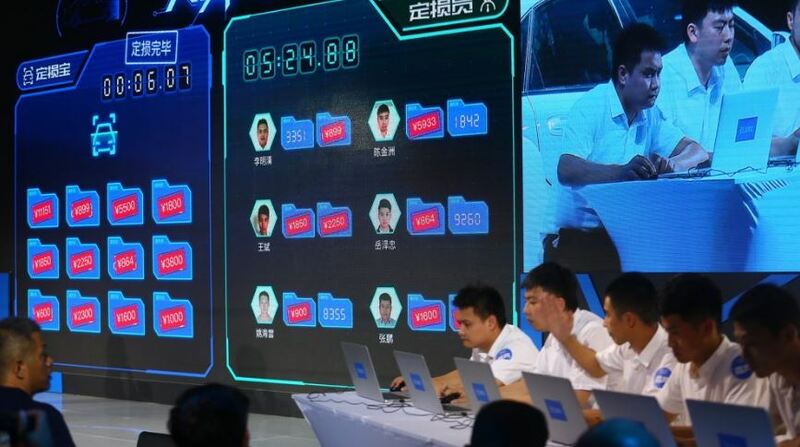 A subsidiary of Chinese giant Alibaba Group on Tuesday unveiled an artificial intelligence photo-estimating system and demonstrated its ability to calculate a claim in as little as half a second, Alibaba news service Alizila said. Alizila estimated that “exterior damage claims” accounted for 60 percent of the 45 million annual private passenger vehicle claims in China. Outsourcing these to Ant Financial’s computer system would create greater efficiency and objectivity, Alizila wrote. 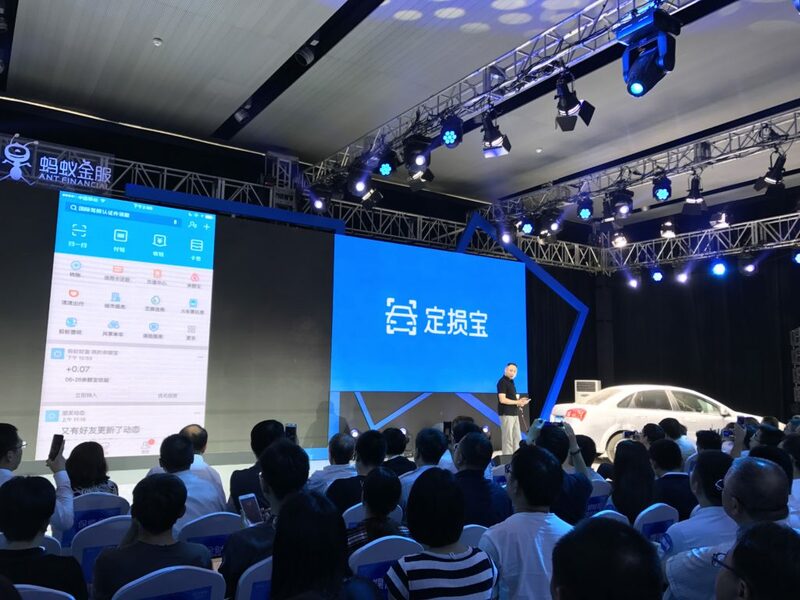 To refine its capabilities — AI systems need as much data as can be shoveled into them — Ant Financial will offer the platform free to Chinese insurers. The company plans to later offer the capability for a vehicle owner to submit their own pictures, similar to photo estimating in America. Ant Financial set up a challenge between “six experienced human claims adjusters” and its AI. Each team evaluated 12 cases. Actually, the human desk review side is almost more surprising, at least by U.S. standards. It’s hard to see how a proper estimate could be done, even on minor damage, in just 34 seconds. Trying to look up repair procedures, add non-included items, and decode a VIN for options would take longer than that alone in America. The computer’s speed, conversely, isn’t cause for concern. Build a fast enough infrastructure and automate the decision making and data lookup and entry process, and the calculation is limited only by the laws of physics and the computer manufacturer’s budget. The problem here is GIGO — “garbage in, garbage out.” If the computer bases its analysis off of past repair data overly distorted by intentionally lowballed estimates; prior-generation vehicle designs and procedures; contractually deflated DRP rates; and shops who fail to tear down, measuring and scanning a vehicle to check for hidden damage, the figure it comes up with is going to do a disservice to an insurer’s customer. On the flip side, if the system calculated the estimate by matching a database of photos paired with final estimates prepared by OEM-procedure-using, P-page-fluent, non-DRP collision repair facilities, the computer would still have limitations (model year changes and internal damage) but at least produce something closer to what their customers might truly need to get to pre-loss condition. The quality of the data set used by such a system is vital, and customers subject to an extensive actuarial data analysis to determine what they owe an insurer in premiums on the front end should demand a similarly robust and thoughtful calculation when it’s the insurer’s turn to owe them money. AI photo-estimating is going to be one near-future means of adjusting. At half a second per claim and the ability to cut manpower costs and lower premiums, you can bet such technology would be attractive to a carrier in the U.S. or China. If so, it’s imperative that shops, insurers and customers understand the potential limitations and backstop the program with supplements based on thorough teardowns, measuring and scanning. (As the trained –and liable — repair professionals, shops should be producing the definitive estimate anyway.) Without shops stepping up to do their job and educate policyholders, current customers could be unintentionally shortchanged, and the data set could remain skewed. Some of this content was originally published on Alizila (http://www.alizila.com/), Alibaba Group’s corporate news website.